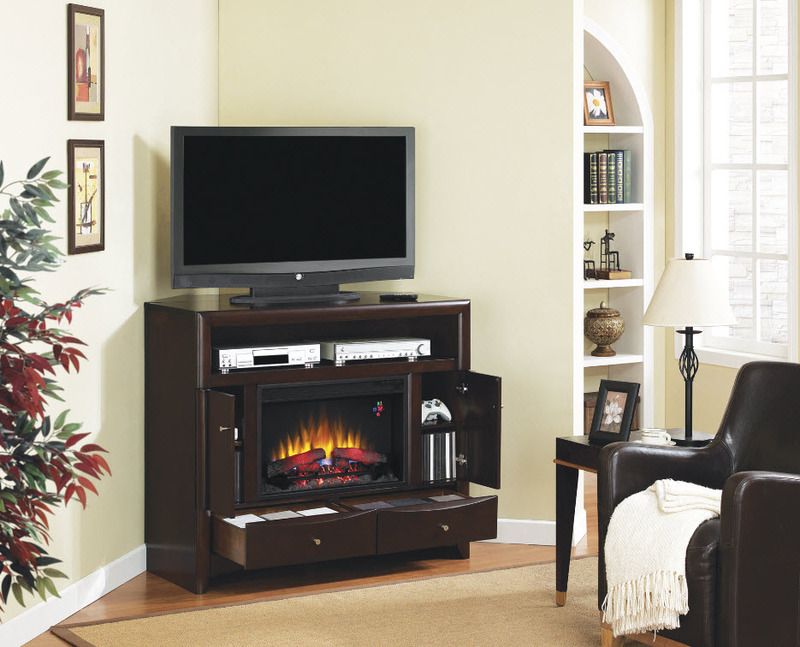 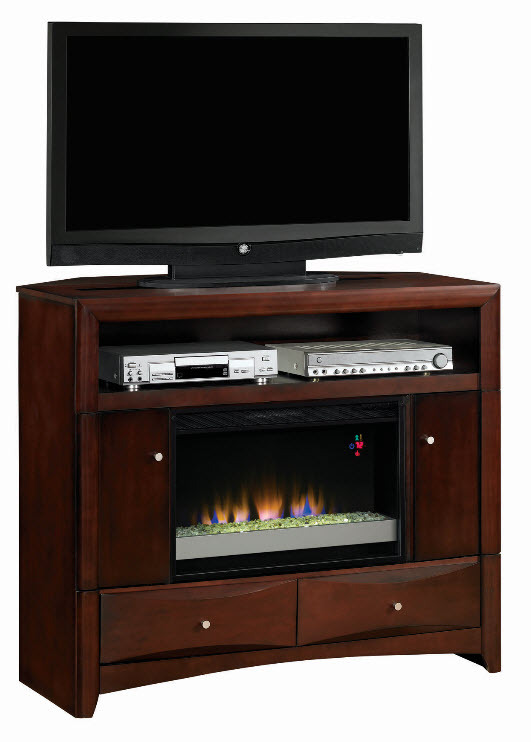 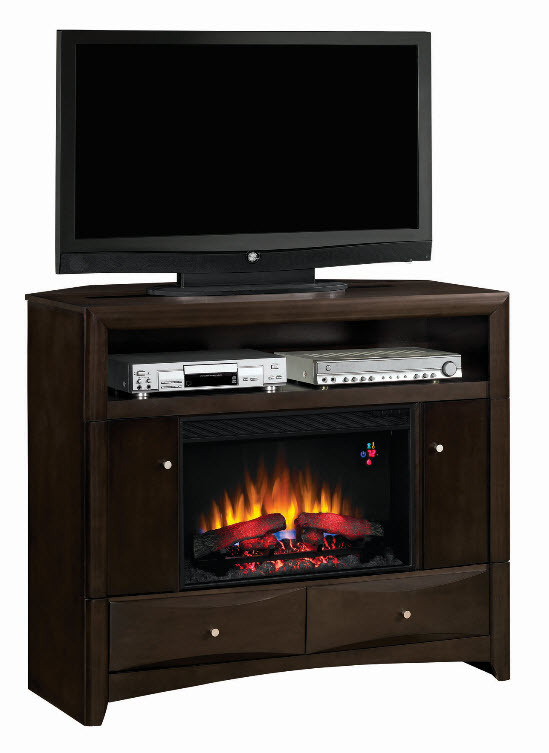 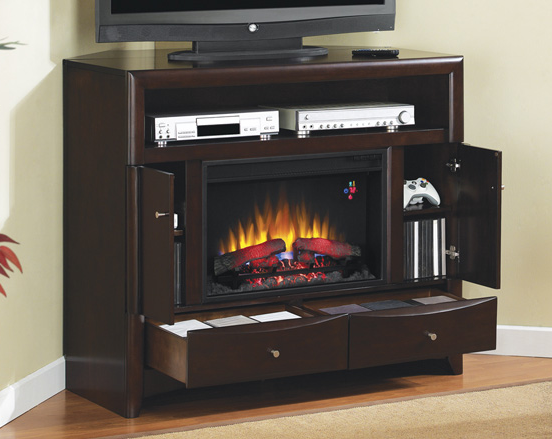 The Delray Roasted Walnut Convertible Electric Fireplace Media Console has a modern chic design that brings convertibility and style to your home. 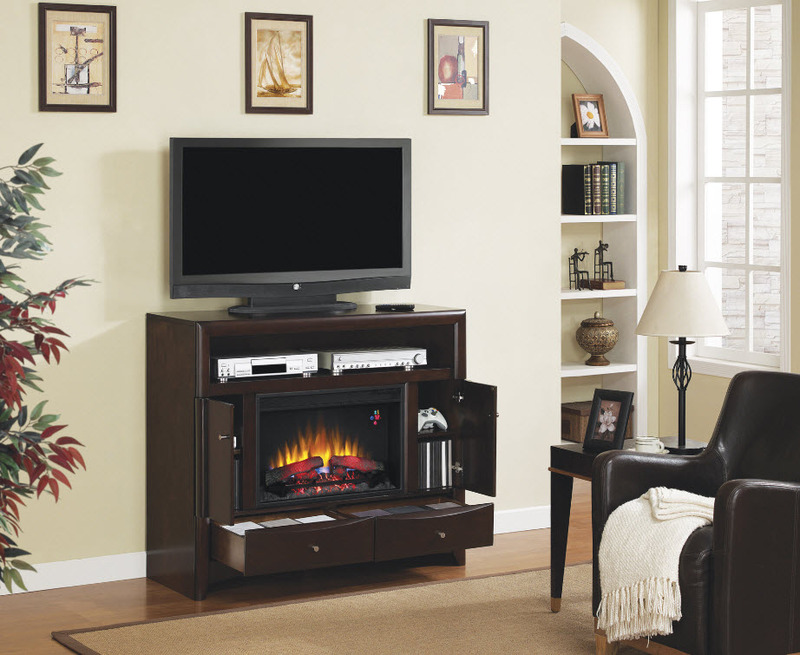 The brushed nickel and arched base add subtle visual accents to this elegant piece. 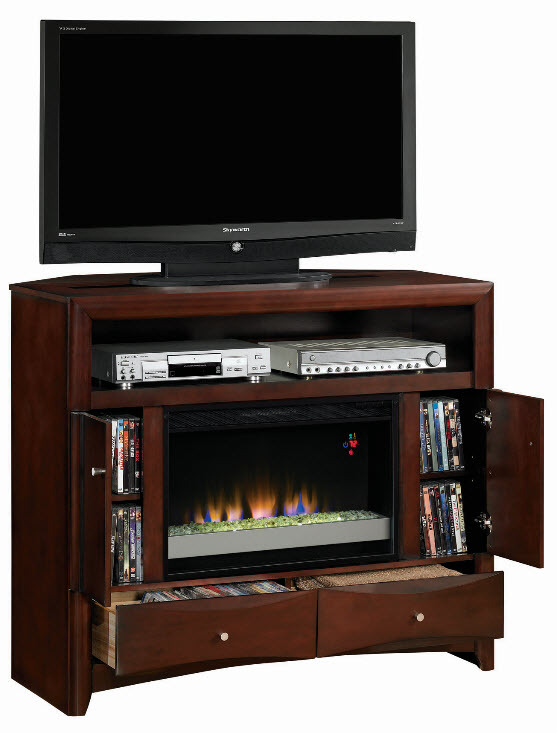 This quality trimmed unit features ample storage with two-sided cabinets, a center media shelf as well as two pull out drawers. 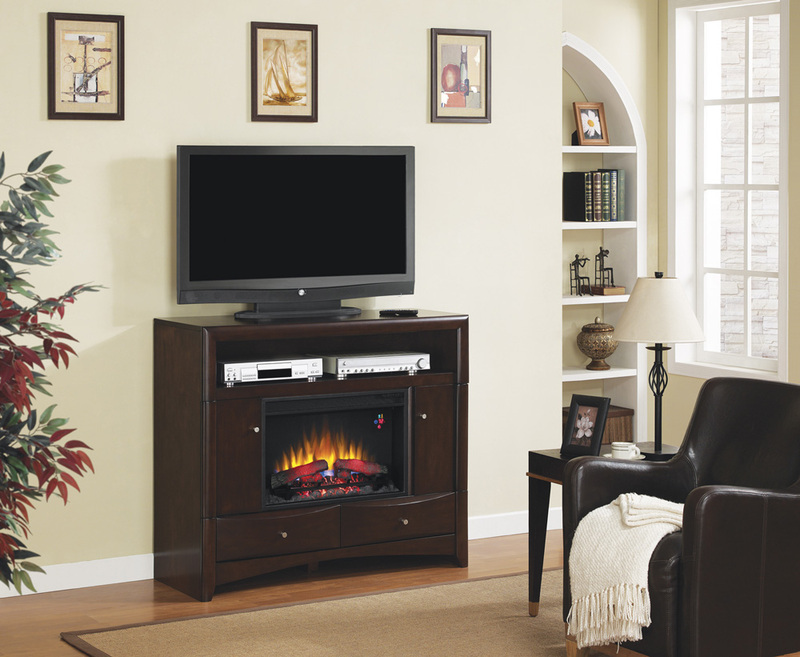 In addition to it's versatility, the Delray can be configured for either wall or corner installations.